Martin Jaggs, 49, Division Operations Manager England Central Division and ex-Coxswain of Lytham St Annes Lifeboat, has been awarded an MBE in the Queen’s Birthday Honours for his services to the Royal National Lifeboat Institution (RNLI) after dedicating over half of his life to supporting the charity, fulfilling roles from coxswain and mechanic at Lytham St Annes Lifeboat Station to tireless fundraiser. For almost 30 years Martin has given up his days, evenings, nights and weekends to selflessly fundraise, train or lead a crew to rescue those in trouble at sea. While he has many roles within the RNLI, it is Martin’s ‘off duty’ work that has helped to make him the pillar of the community he is. Behind the scenes he has tirelessly supported the charity’s fundraising throughout the north west of England. 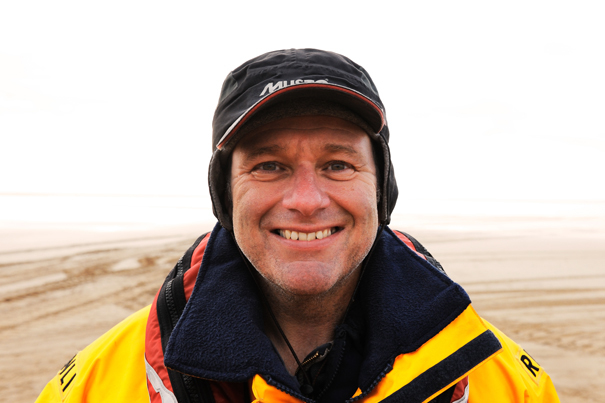 His warmth of personality and generosity of spirit have meant Martin often changes the lives of the people he meets, and thanks to him and the rest of the crew, Lytham St Annes is known for its dependability, openness and willingness to help, no matter what. Martin said: ‘It was quite a shock to receive the call telling me I’d be getting an MBE – but a brilliant one. But it isn’t just for me, it’s for my family too who have put up with me and supported me being part of the lifeboat for the best part of 30 years and the ups and downs that come with it. Martin is well known in the local community, but he also plays a leading role in the wider RNLI, where he is looked upon almost like a hero. Spending time talking to volunteers from around the UK, telling them stories, and offering them support, he is loved by all, often taking hours talking to individuals, but always thanking them for their support. People really like this strong, accomplished and approachable lifeboat man, and this affection is only amplified by his attention to the smaller details, such as hand writing letters, sending Christmas cards to supporters, taking young crew members under his wing. He is an extraordinary man.